You may already be using retargeting to advertise to visitors based on the actions they took on your site. But what if you could go deeper, and serve ads based on intent through organic search retargeting? A person’s actions don’t tell the whole story — you gain more insight if you know why they did what they did. By showing you what keywords searchers used to find your site, Keyword Provider lets you serve ads based not just on action, but on intent. You can learn what visitors were thinking right before they arrived. It’s the difference between simply observing what customers do in a store, and actually entering into a conversation with them about why they came and what they’re looking for. Keyword Provider lets you do something similar with your website. 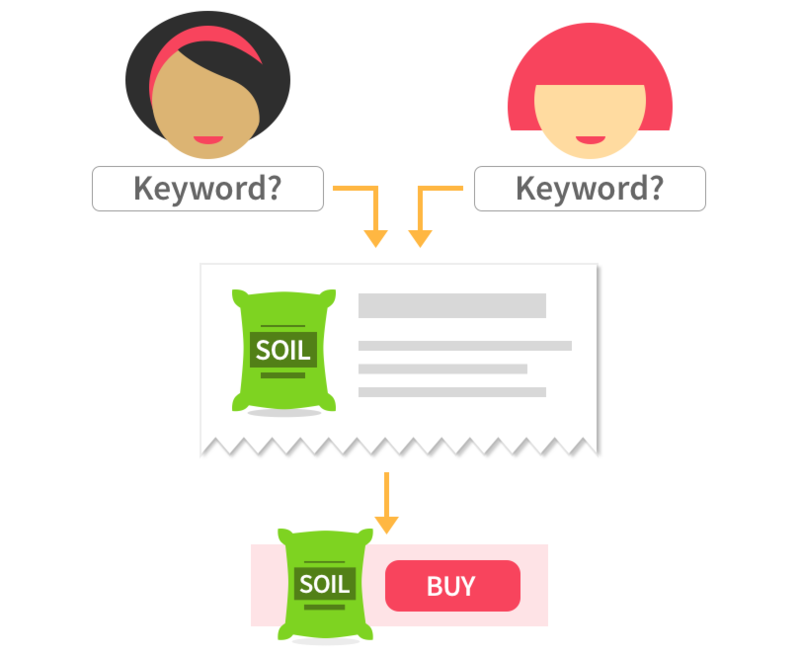 How is Organic Keyword Search Retargeting Different? Let’s say you have a website, smithgardencenter.com, that has a page showcasing the different types of soil that you sell. Usually, you‘d show these visitors ads related to soil by targeting a list of people who visited that page. Or maybe you’d use dynamic remarketing to show them ads related to the specific products that they viewed. 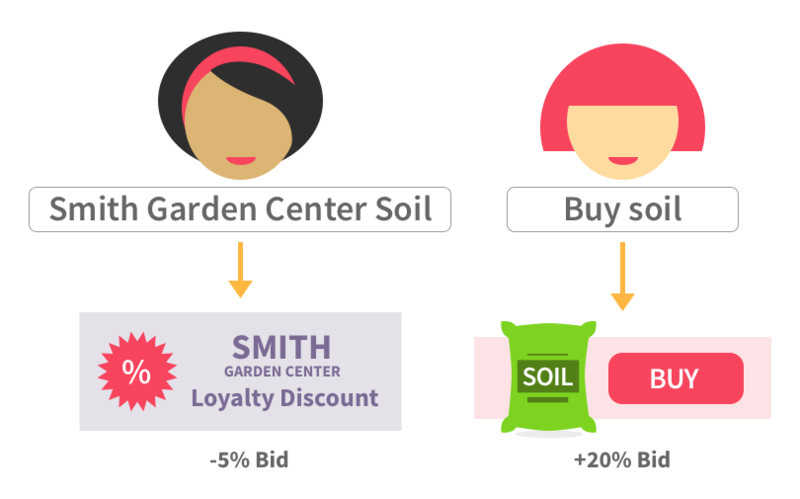 But if you use Keyword Provider, you may learn that there are two categories of people who visit this page via an organic search: those using search terms with your brand name (like “Smith Garden Center soil”) and those conducting non-branded searches (“where to buy soil for gardening”). With Keyword Provider’s data, you can now separate these groups into two lists, allowing you to set different bids or serve different ads. Without this data, you’re stuck treating these two groups the same, even though they have a different value to your business. Especially over time, this can make your retargeting significantly more expensive. 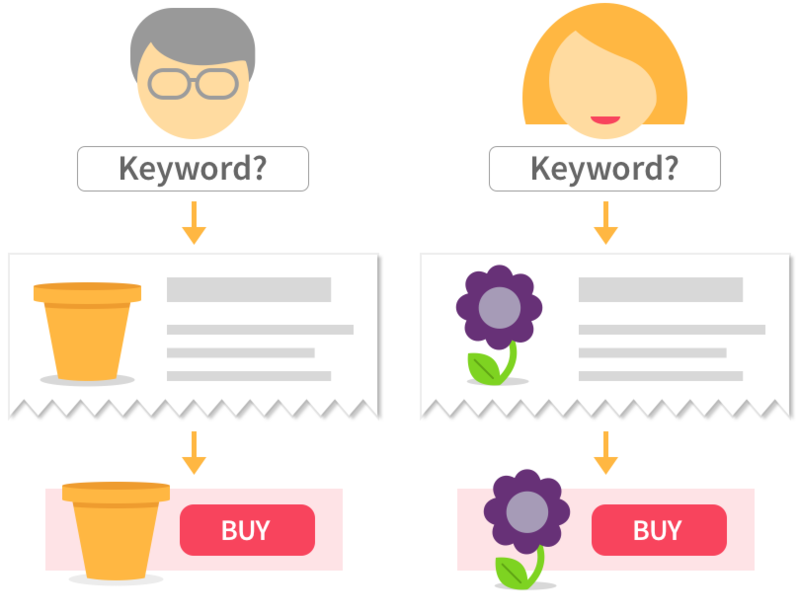 What Else Can You Do with Organic Keyword Search Retargeting? Let customers know when new products or services they’re interested in become available. You can now use retargeting to tell online visitors who were looking for yard decorations that your first shipment of garden gnomes has arrived! 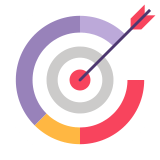 Create retargeting lists based on your ranking position. Visitors who find you on page 3 of Google, rather than page 1, worked hard to find you. You might choose to bid more to reach them. Eliminate searchers less likely to convert (create lists containing searches like “gardening store jobs” or “open a garden store” so these visitors can be excluded). Collect people conducting related searches, but who visit many different pages, into one retargeting list. For example, you could bring together all people conducting vegetable gardening searches (“organic vegetable gardening,” “raised vegetable garden,” “vegetable garden design”). Inform customers who were searching for sales or coupons about your promotions. Or eliminate such budget-conscious shoppers from your retargeting entirely if you choose. Adapt to unanticipated trends in what people search for by creating new landing pages and retargeting ads specifically for the new interest. If rose gardening suddenly increases in popularity, you’ll know and can respond. You get a second chance to give the customer what they want. Once Keyword Provider is installed, go to “Audience Definitions” in the Property column when you’re in the Admin section of Google Analytics. Click on “Audiences” and the red +New Audience button. Follow the prompts to select the View and Destination Account. In the next step, click “Create New” to define a custom audience. In the “Conditions” section, change the drop-down box that says “Ad Content” to “Keyword” (type the word “keyword” into the search box to bring it up). Once you’ve defined the conditions you want, click apply, finish configuring and naming your audience, and save it. Assuming AdWords and Analytics are linked, your remarketing list should be available shortly. To learn about creating remarketing lists in Analytics in greater detail, see https://support.google.com/analytics/answer/2611268. Retargeting based on organic search keywords is another useful tool for your advertising efforts. List segmentation is an important key to success with retargeting, so the more options you have at your disposal, the more competitive you’ll be. Keyword Provider helps you increase the effectiveness of your ads, lower your retargeting costs, and drive more conversions.